On September 3, 1651, the final battle of the English Civil War was fought in Worcester. Charles Stuart (future Charles II) allied himself with the Scots in his bid to defeat Parliament and reclaim his late father’s throne (Charles I, executed January 30, 1649). On the one side were the King’s army, numbering approximately 14,000 -16,000 (mostly Scots) while Oliver Cromwell commanded approximately 30,000 for Parliament. 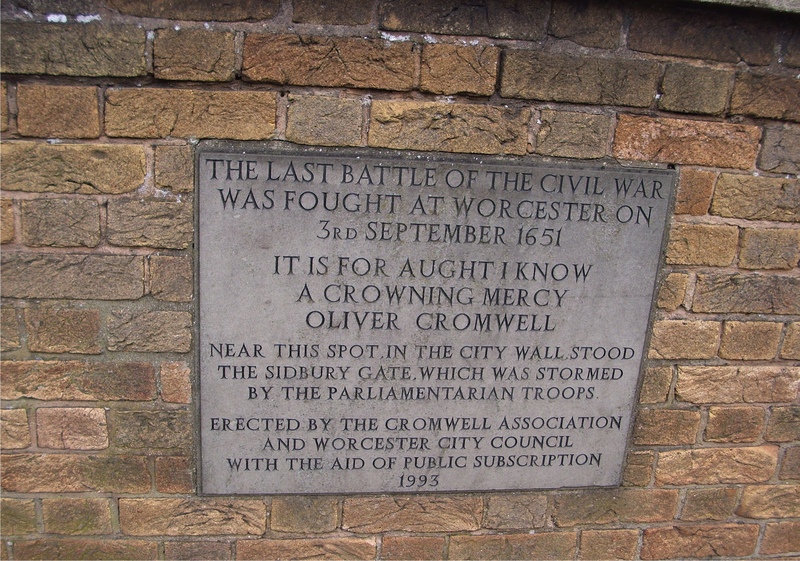 Ironically, the first major skirmish of the English Civil War and the final battle were both fought at Powick (immediately south of Worcester). While the first Powick meant victory for the Royalists, the last meant defeat. Civil War memorial near the site where the Sidbury Gate would have been. The battle started at dawn. Major-General Montgomery and his Scottish troopers were in position to secure Powick against Parliament’s Colonel Fleetwood and General Deane. With the Scots defending the bridge, Parliament set up two pontoon bridges made up of boats to cross the rivers Teme and Severn. 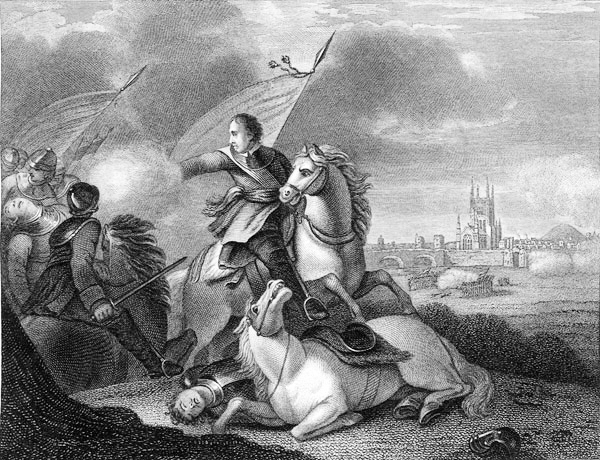 Montgomery’s men fought hard to keep this strategic crossing, but by noon, they were eventually overwhelmed by a fresh wave of Cromwell’s troops. Meanwhile, the King waited at Worcester. 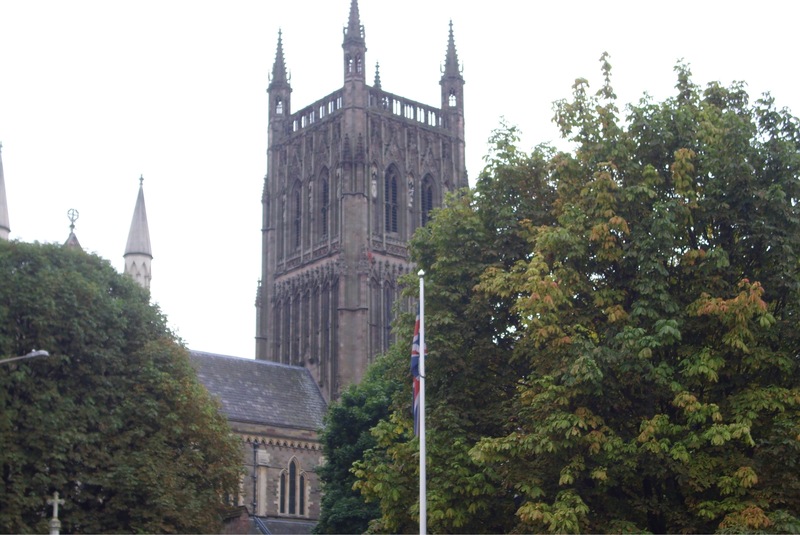 From his vantage point at the top of Worcester Cathedral, Charles not only saw Montgomery’s forces lose ground but also saw that Cromwell purchased that victory by weakening his forces to the east of Worcester. Charles seized the opportunity and together with the Duke of Hamilton marched on Red Hill and Perry Hill. At first, the Royalists managed to push back Parliament until Cromwell braced up that front with fresh troops from the south. The Duke of Hamilton was mortally wounded and taken back to the Commandery in Worcester. Charles had no other choice than retreat. 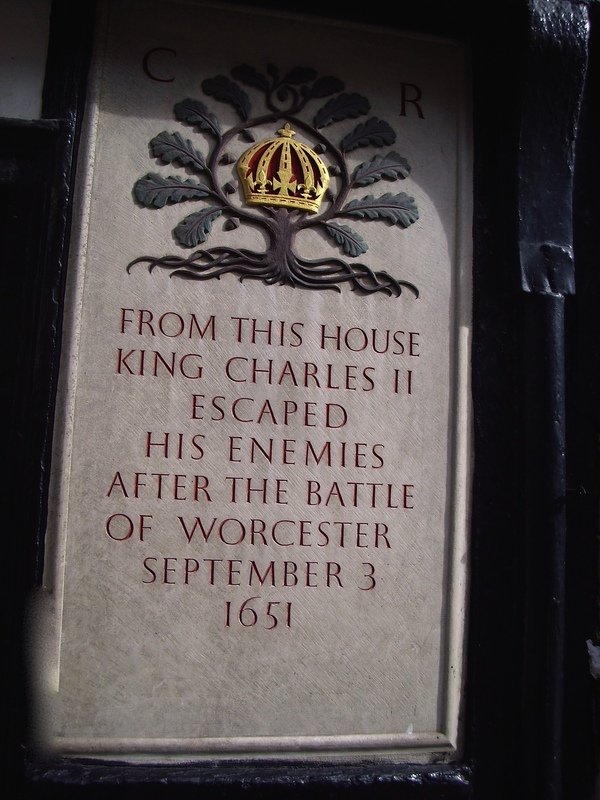 Charles barely managed to escape from Worcester by slipping out of the back door of his lodgings just as Cromwell’s soldiers reached the house. This entry was posted in 17th century and tagged Battle, Charles Stuart, English Civil War, Oliver Cromwell, Worcester. Bookmark the permalink. Love the commentary and pictures. Can’t wait for the escape installment. Washer women and oak trees! Thanks so much! I really appreciate the comments. Thank you very much and for the comment.